Sometimes the weight of life can seem heavy. You can either be crushed by it or learn how to carry the load. In the fall of 2016, I was traveling non-stop for my work with yoga master Tao Porchon-Lynch. At now almost 100 years old, she shows us how to live with vitality regardless of age. Dancing Light, the book we co-wrote (along with my mom Janie Sykes-Kennedy) won ten awards, and then Tao and I were featured in Athleta’s Power of She campaign. It has been an exciting time. However, I have also been experiencing a very strange dichotomy. In between amplifying Tao’s light, I have been fighting extreme darkness in the sunny state of Florida. On August 30, 2016, my aunt was abducted by a court-appointed guardian and we have not seen her since. It has been surreal. For background, “meet” Aunt Lillie in this video and read “Is Elder Guardianship a New Form of Human Trafficking?” Trying to be the “fixer,” I was working the phones every day-–from Governor Scott’s office to the Florida Department of Children and Families. I was literally given the runaround from one agency to the next and received a string of form letters back. Involuntary isolation is elder abuse and thus a crime. Yet, no one has wanted to go against the Court and its agents despite the grave wrongdoing. The stress of the situation has been overwhelming. In addition to exploiting Aunt Lillie, these predators have been badgering my mother. My mom and sister both ended up in the emergency room. Then, my eyes and joints started bothering me. The anger that was swelling inside of me was making my body inflamed. I couldn’t hold down food and was severely dehydrated. As someone who specializes in stress management, integrative health and mindfulness, I knew better. I had not put on my “oxygen mask” and found myself hooked up to IVs for two weeks from December 26, 2016 through January 8, 2017. It was not the way I had intended on spending the holidays. Only a few family members and friends knew what was going on and they fortified me with prayer. It helped me come back to center. No matter what is going on, where I am or whom I am with, I put my health and wellbeing first. I notice what my body is telling me. I keep active so my energy can flow. I plan ahead to ensure I have the fuel I need to feel good. I ask for what I want and need. I am not concerned about being seen as “difficult” or “picky.” At night, I disconnect from technology and prioritize sleep. Whatever work is left at the end of the day, so be it. I know that rest is repair. I am here to thrive, not just survive. I commit to being unapologetically well. View Commitment Card. No matter what is going on, where I am or whom I am with, I lead with passion. I listen to the whispers of my heart and make choices that fire up my spirit. I do what I love, not what I think I “should” do. I notice what feels good and gravitate to what makes me smile. I refuse to settle. I am intentional in my actions every day, and take time to pause and play. I create space for fun. I recognize that tomorrow is not promised so I claim my joy and make my mark today. I commit to being fiercely passionate. View Commitment Card. No matter what is going on, where I am or whom I am with, I have eyes wide open. I am present in each moment. I seek Truth and transparency. I refrain from making excuses for myself, and pay attention to how I show up every day. If I feel I am getting out of alignment with my deepest desires, I self-correct and make new choices. If I get drawn too much into the past or the future, I remind myself that I am here now. Even if there is darkness around me, I choose to stay in the light. I commit to being fully conscious. View Commitment Card. Every day, I remind myself of The Three Commitments. I keep them at my bedside so they are top of mind. I am very thankful to have recovered miraculously fast. My resilience factor is high probably due to my decades of healthy habits. Thirty days out of the hospital I was on a plane to Dubai with Tao for the World Government Summit. I’ve since done events in incredible places like India, the UK, and Slovenia–and I’m off to China and Hong Kong next week. I’m carving out more personal time and even fit in a trip to Costa Rica that was just for me. Those who get my weekly Dose of Power Living might have noticed that it suddenly stopped. I took a yearlong hiatus from my writing and social media. Now, I’m back! My aunt continues to be “unlawfully caged” somewhere in Florida and the www.elderdignity.org website keeps getting hacked. The heaviness is still there but I refuse to let it weigh me down. I now own my role as an elder justice advocate with renewed strength. We launched a GoFundMe campaign to support a federal lawsuit. At night, instead of mulling over the injustice, I “cast my burdens” and remain in peace. As I follow a refined Autoimmune Protocol diet for my body, I feed my spirit with uplifting reading and listen to my inner guide. Divinely, with this new approach has come a groundswell of support for my aunt. People and resources are showing up right when we need them. In a David and Goliath victory, we were just able to get the Judge disqualified and now there is an investigation into the rogue court-appointed guardian. 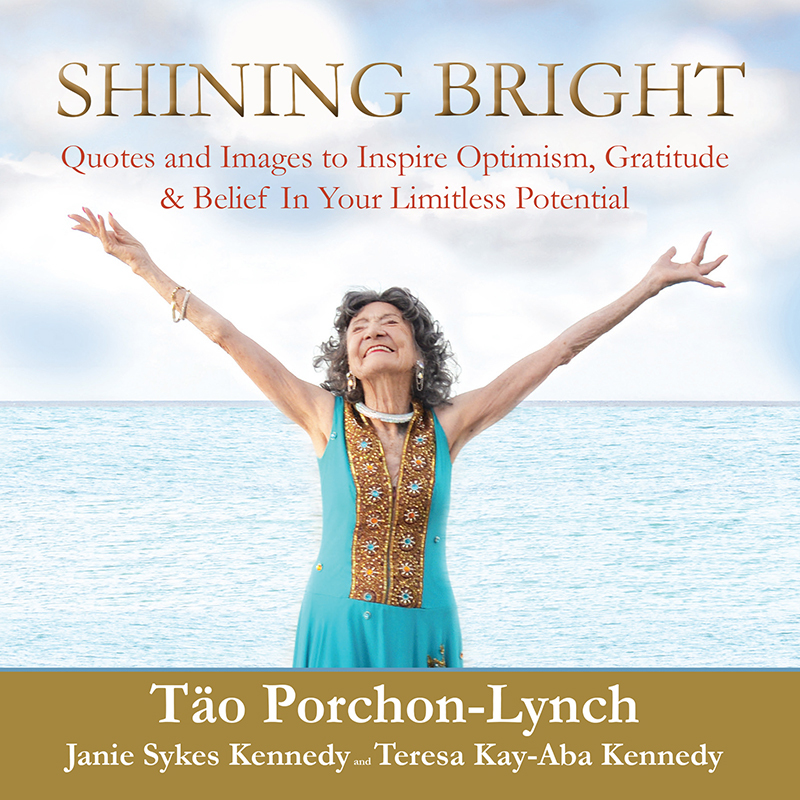 In addition, Tao, my mom and I just released our second book together, Shining Bright: Quotes and Images to Inspire Optimism, Gratitude & Belief In Your Limitless Potential. Each and every one of us has an amazing job to do on this Earth. What are your commitments to yourself? 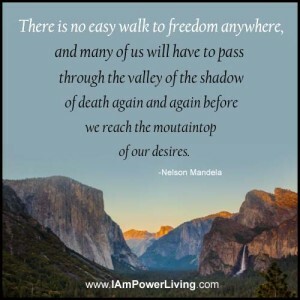 How will you fortify yourself for the journey so you don’t get battle fatigue? 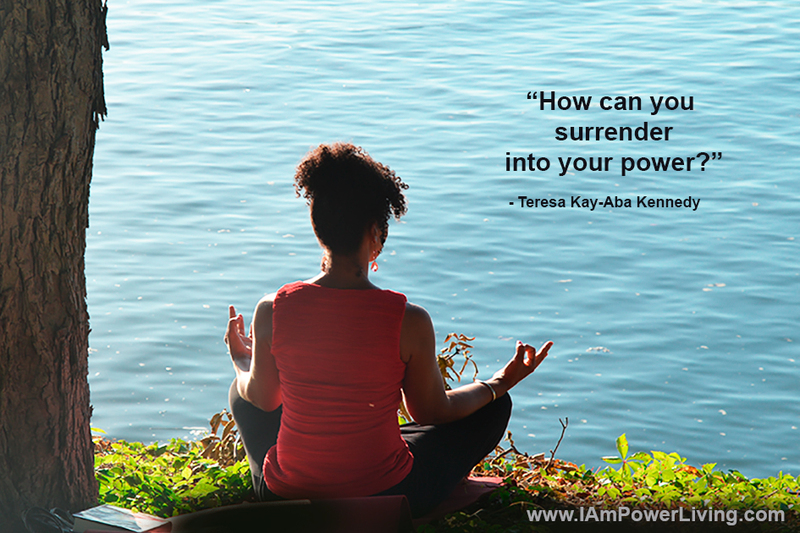 How can you surrender into your power? It may not always be easy, but you can step into an annointing of ease if you let go and trust that the Universe has your back. Teresa Kay-Aba Kennedy is a Harvard Business School-trained strategist, entrepreneur and World Economic Forum Young Global Leader. She helps companies operate more efficiently and individuals live more effectively through her company Power Living Enterprises. 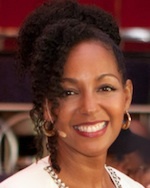 A seasoned yoga/mindfulness teacher and executive/life coach, she is also an internationally-recognized transformational specialist. 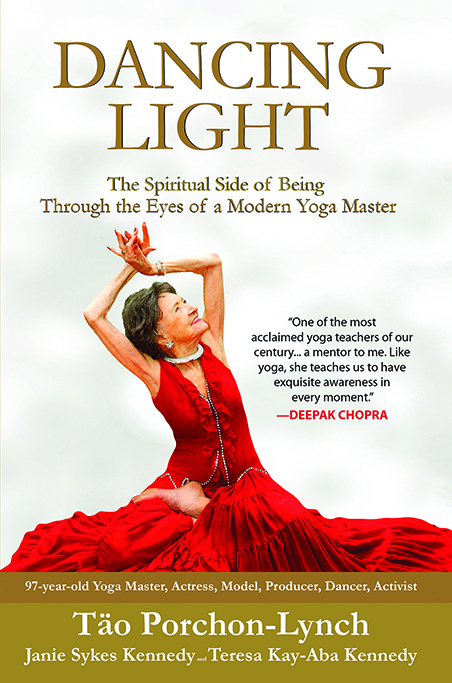 In addition, she is the author of five books, including her latest two–Dancing Light and Shining Bright–in collaboration with her mother, Columbia University-trained journalist Janie Sykes-Kennedy, and her teacher, 99-year-old yoga master Tao Porchon-Lynch. Support the GoFundMe Campaign for Aunt’s Lillie’s case. Experience all of our articles and videos on yoga. Do you want to step up your energy, reduce stress or tone your entire body? Get private yoga training. 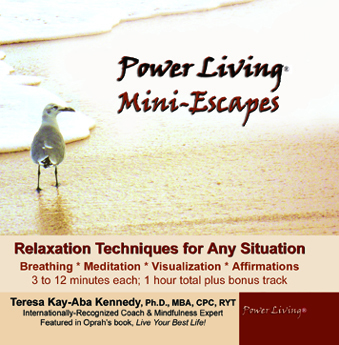 Also, read about “The Power of… MEDITATION.” Learn more about authentic living in 40 Days to Power Living®: Think, Eat & Live on Purpose and detoxifying your mind, body and spirit in the Seven-Day PWR Detox. 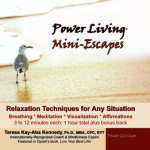 Image: By Eu-nah Lee | Copyright Power Living Enterprises, Inc.
More Quote Cards featuring Teresa Kay-Aba Kennedy.